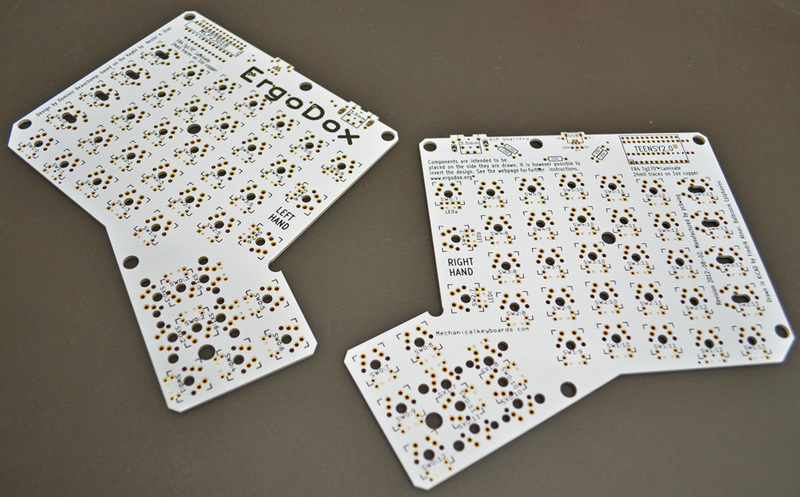 The ErgoDox PCB is intended for do-it-yourself kits. 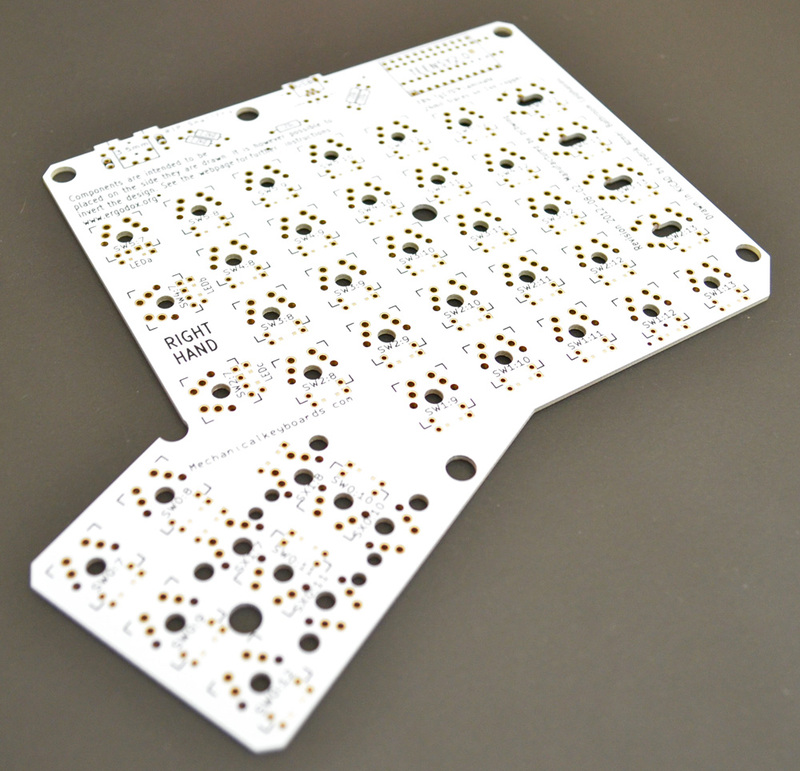 Mechanical Keyboards Inc cannot be held liable for damage caused by this PCB board; including, but not limited to, damage from improper installation. Use at your own risk. No complaints with these guys. Mine were well packaged when I received them in plenty of padding. As I was going a long attaching diodes I thought that maybe the cut was off, because some holes weren't lined up right. I thought I'd just see how things played out and investigate further if necessary. 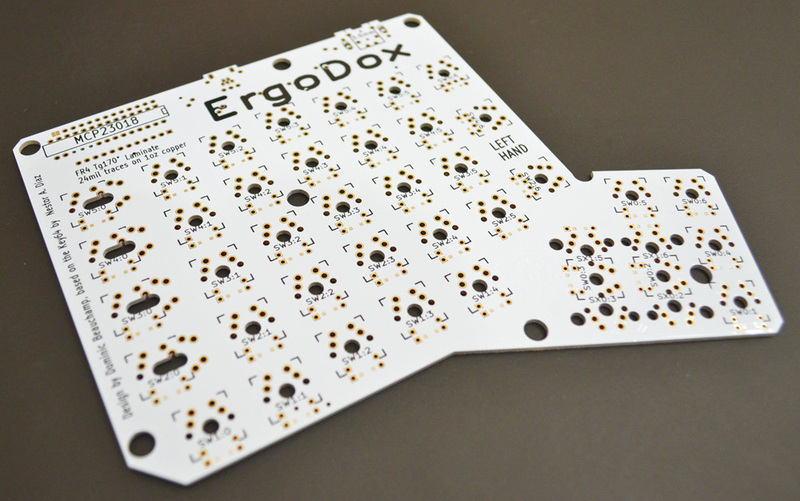 As it turns out, the pictures on the massdrop page for the ergodox assembly has the exact same miss-cut. All my worries were laid to rest and I went forward with the assembly and I'm typing on it now. I'm glad there was an easy, fast-shipping option for the ergodox, because I got way too pumped for this project to wait for the massdrop. 5/5 - would buy again to build with a clicky switch. Picked these up to start my new Ergodox project build. Really solid quality and exactly what I'd expected. Looking forward to assembling these soon.